AWAYTR Children's Adjustable Elastic Easy Belts stretch comfortably to your kids waist size. you'll never need to worry about buying them clothes that's too big. No matter how active your little one is, these belts will be sure to keep his or her pants or skirt up. Size: 1 Inch wide elastic stretches for comfort. Adjustable range : Being adjustable between 16 and 30 inches allows the belt to grow with your child. 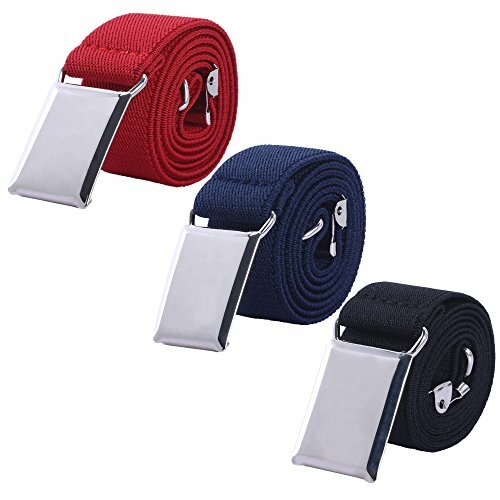 Color: kids belts have 11 Colors to you choose Design : The Hanging Buckle makes it easy for both children and adults to put on or take off the belt while the elasticity keeps the belt taut to stay on. Material : soft materials won't irritate your child's skin, so your child will feel comfortable all day. CASUAL OR FORMAL - Make getting dressed for school, holidays, parties, weddings, field trips,and all occasions . SERVE GUARANTEE - If for any reason you are unhappy with any product by -AWAYT, please do not hesitate to contact us. We will take full ownership and responsibility for the quality of our products and will do our very best to solve your problem swiftly and efficiently! If you have any questions about this product by AWAYTR, contact us by completing and submitting the form below. If you are looking for a specif part number, please include it with your message.